My love of Mustangs actually started in 1970 when I got back from Vietnam. I went to a Ford dealership in Brooklyn, NY and was ready to buy a 1970 Mustang. I looked very young, like I was 14 years old, I approached a salesman to inquire and he looked at me and said to come back with my Father. With that I walked out of the showroom. When I got back to Dover AFB and ended up buying a 1970 Chevy Camaro. 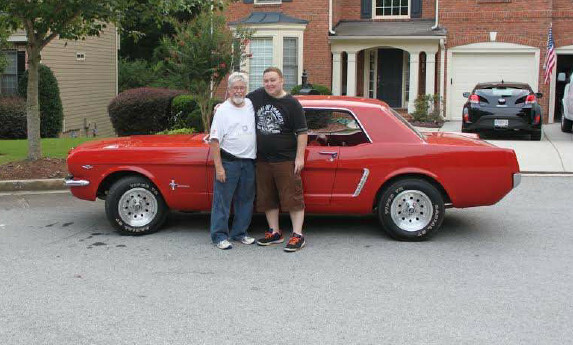 My Mustang love came back again when my son William wanted a car for us to work on together. We were looking at a few Mustangs and one of our friends had a friend of a friend who knew of a 1965 Mustang for sale. We went to look at it and were very pleased with what we saw. The person was the second owner. We test drove it and it ran well. He told us to think about it for a week and said he would not show it to anyone else until we called him. We looked at a few others and this one was the best so William and I bought it together. We have had the Mustang for a year now and have done a few things to it such as new tires and ball joints. We end up replacing all the front suspension components (springs, etc. ), steering mechanisms and shocks front and rear. We replaced a few chrome pieces around the car, the instrument cluster, new steering wheel, upgraded the front brakes from drum to disc brakes and dual bowl power assist master cylinder and a new radiator. We will be recovering the back seat, installing new carpet and we are having a new AC system installed to replace what was there. A lot of work but also a lot of fun and a great father-son bonding experience. We have enjoyed going to the meetings, to shows and to cruise-ins. Lots of great people to be with, socialize with and learn lots more about Mustangs. 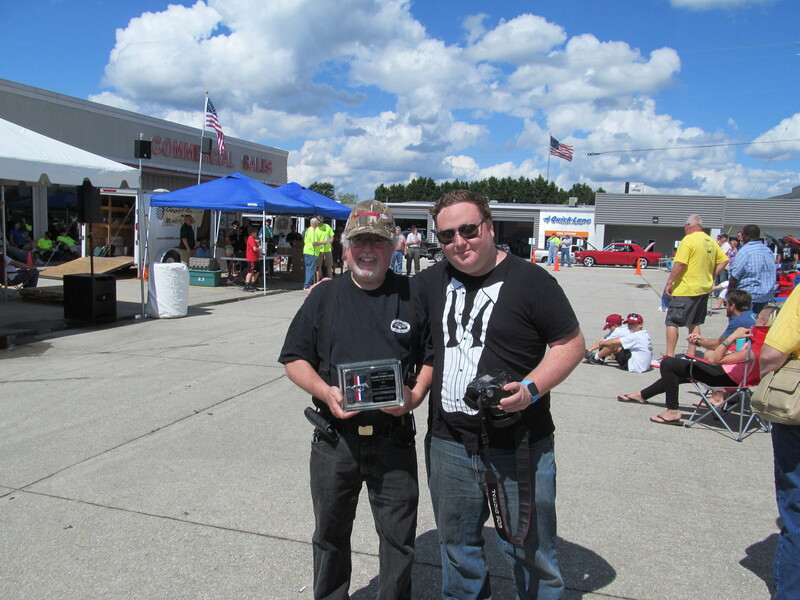 It was also fun receiving our first awards recently with a great club showing at Hardy Ford. I look forward to meeting more of you and soon at future events. Editors Note: Ronald is also a photography wizard and has been providing the club with great photographs from events for our Facebook page, Webpage and Newsletters.